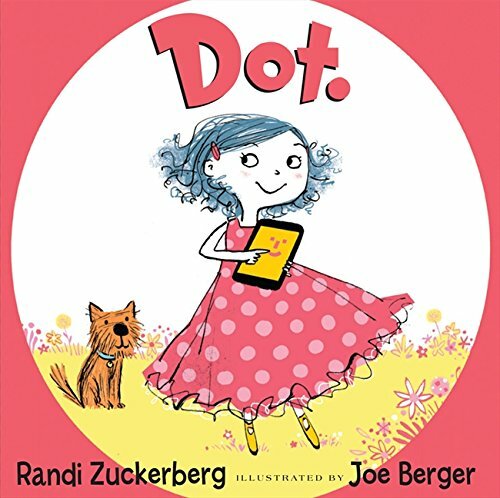 Perfect Picture Book Friday: Dot. Are you ready Perfect Picture Book Friday? I found a book that our kids these days can definitely relate to. And since I’m writing a book about a boy who wants to play on his tablet more than anything else, I’m using it as a template text. “This is Dot. She knows a lot. She knows how to tap, to touch, to tweet, to tag. Dot’s a spunky little girl well versed in electronic devices. Dot knows a lot. She knows how to tap . . . to swipe . . . to share . . . and she pays little attention to anything else, until one day Dot sets off on an interactive adventure with the world surrounding her. Dot’s tech-savvy expertise, mingled with her resourceful imagination, proves Dot really does know lots and lots. Young kids will just about be able to read this by themselves. Love the message of life balance – there is a place for electronic devices, but we mustn’t forget that kids need outdoor activities as well. Getting kids outside is really important. They need the fresh air and the large muscle movement that is hard to allow in the house. While you are outside with them, why not go on a leaf hunt. There will soon be plenty of leaves to collect. See how many different types you can find. You will need: Piece of construction paper or cardboard, glue stick, leaves. 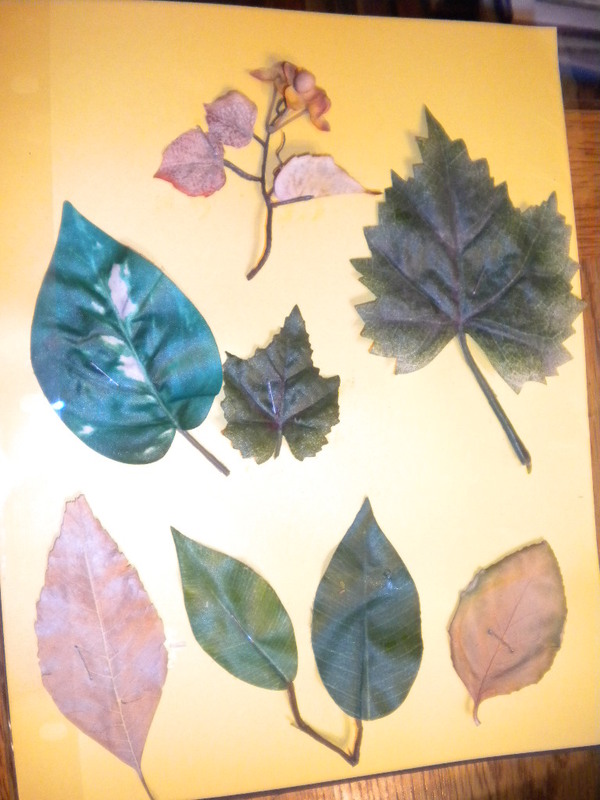 Let your child arrange the leaves on the paper. Glue each leaf in place. Hang up in a place of honor. Does your child have a bulletin board or place where he can display his creative work? Even a fridge will work…all you need are some magnets. Thanks so much for stopping by today. I hope you all have a beautiful weekend. This entry was posted in Craft Activity for Kids, Perfect Picture Book Friday, Picture book reviews and tagged Dot., Fall leaf collage, Joe Berger, Randi Zuckerberg, Susanna Leonard Hill by viviankirkfield. Bookmark the permalink. Yes! Read a book! Turn off those electronics! Get some fresh air! I can’t tell you how often I have to make these suggestions. Thanks for highlighting this book, Vivian. I’m with you, Jilanne! But I was guilty of the same thing…although back in the day, there were no electronics and TV was a new treat to be enjoyed very sparingly. So I buried my head in books! I do agree that kids need encouragement to go out….and parents need to lead by example…but it’s hard when most parents work all day and are ready to collapse when they get home. Yes, too true. I do think the pace of life is speeding up, and I think it parallels the increased speed of information processing. Those computers that used to run much slower are now faster than ever. Thanks for stopping by, Tracy. You are right…so many kids are involved with electronic devices these days…we have to make an effort to get them to do other things also. What an adorable cover! This sounds like a book that a lot of kids (and adults) will be able to relate to because so many of us are tuned into electronics. I definitely want to check this out. Thanks for sharing! So right, Jess! It was lovely of you to stop by…I’m glad you got to see this book…it is so simply written…and very effective…if really gets the message across. Love that cover and the theme! You and I didn’t grow up with electronics and all we had was our imaginations — and boy did we have fun! You should have shared this during International Dot Day! Great gift book! Oh, you are right, Pat…Dot for Dot Day. 😉 I can remember, when you got home from school, you changed into play clothes and went outside…for HOURS…just playing balls or running around or going to a playground and swinging on swings or climbing on the monkey bars…and your mom called you in for dinner when it started to get dark. I understand parents can’t do that these days…but it was great fun…we had a lot more independence. Isn’t Dot. fun? And I’d love to send you my story, Erik…I’m finishing some revisions on it, but if you have the time to take a look and give me your opinion…I’d be most grateful!